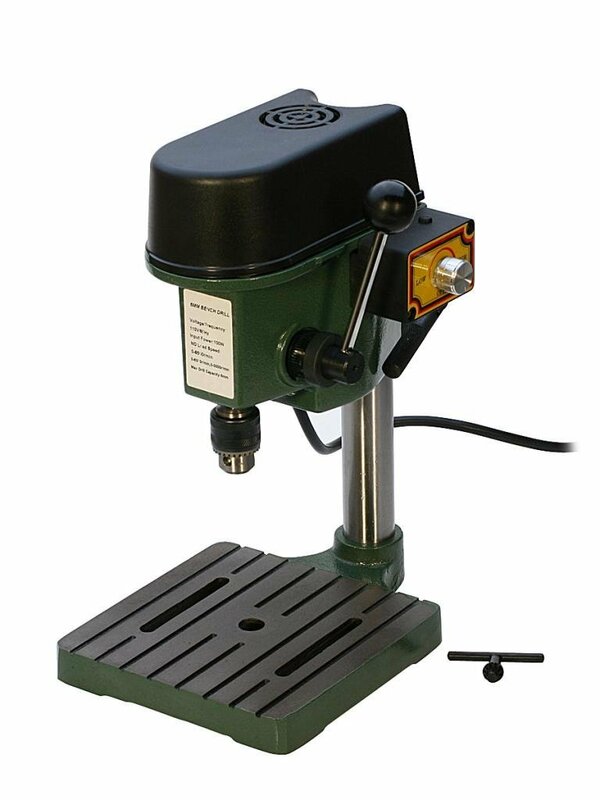 Dremel 220-01 Rotary Tool Work Station has articulating drill press to drill perpendicular and angled holes in 15° increments up to 90° horizontal. 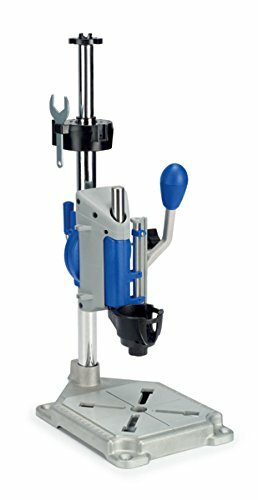 It comes with tool holder that holds tool at 90° horizontal for tasks like polishing metal objects, sanding different shapes and grinding metal pieces. It also comes with flex shaft tool stand allowing telescopic adjustment to any height from 16 inches to 29 inches.